In the UK, a majority of British consumers report that they drink tea on a daily basis. Tea drinking has moved away from an afternoon event to something that happens in the early morning hours. Many consumers will either drink their tea with or without milk, with both options about equal in popularity. According to revenue figures released in 2015, the UK tea industry held a total market value of GBP 450.7 million for black tea products. Another GBP 78.8 million was sold in fruit and herbal teas, with GBP 46.1 million sold in specialty teas. 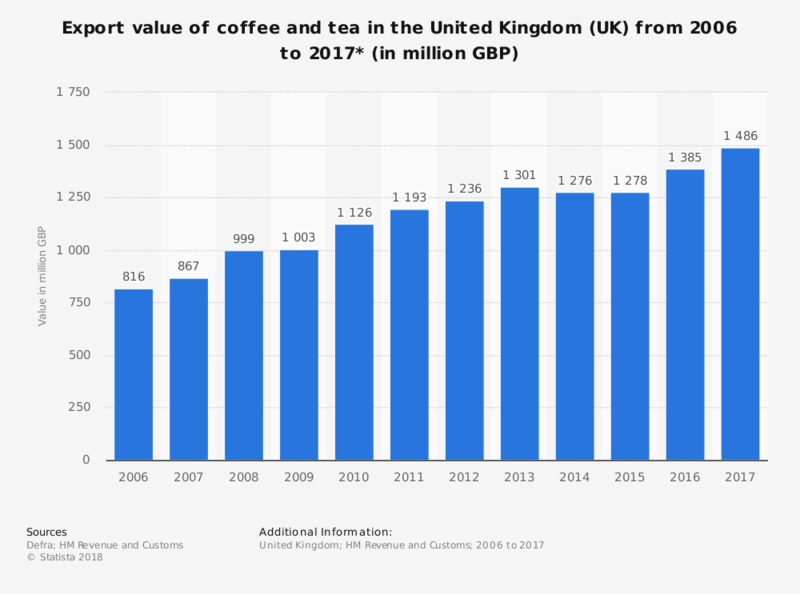 There is a lot of pressure on the UK tea industry, however, as consumers are beginning to transition over to coffee products. 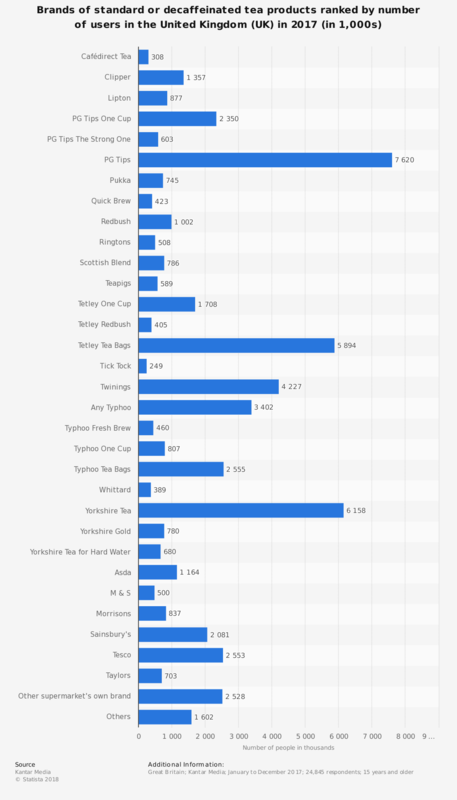 Although nearly half of consumers in the UK still drink 1-2 cups of tea per day, the percentages of those who drink 1 or fewer cups of tea is on the rise. 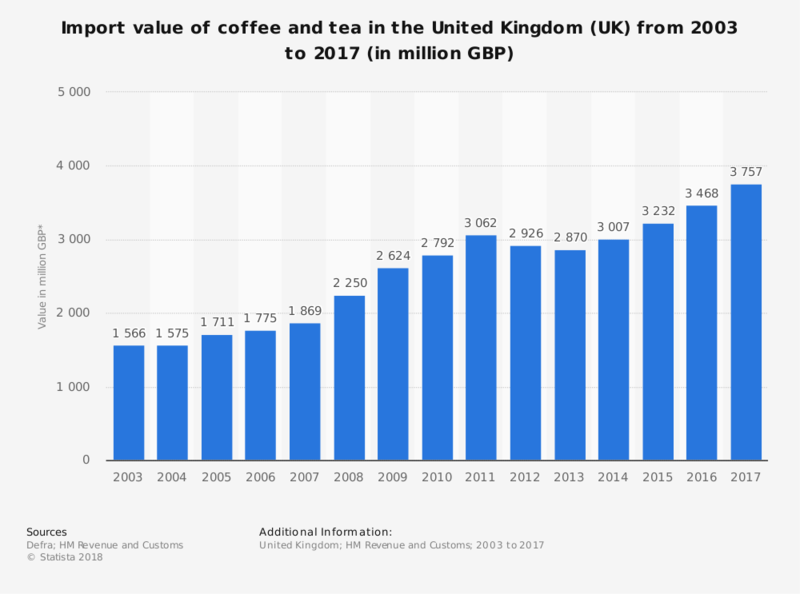 Although the tea industry is facing pressure from a variety of different beverages, most notably coffee, there is still some room for growth within the industry. Through the year 2021, the average growth rate for the industry is forecast to be around 2%. What is responsible for this pattern of growth isn’t the standard black tea. It is a growing trend of enjoying fruit and herbal teas from those who are wanting to be more conscious about their health. Since 2012, the sale of standard black tea bags has fallen by 13%, while the sale of specialty teas has increased by 50% and green tea sales have improved by 50%. Tea will always be part of the identity and culture of the UK. The tea industry there is on secure footing. As the industry identifies changing consumer preferences and adapts to them, the market should remain strong. Uncertainty about Brexit, along with changing relationships with the United States and EU-member nations, could affect the export industry somewhat. Otherwise, the industry should continue to see slow and steady growth in the coming years.